All Article links on my facebook page https://www.facebook.com/astrodocanil/ , Google and LinkedinScroll and you can see for yourself. 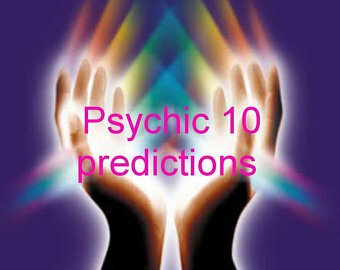 1.In the Year Feb.2002 when I had not studied Astrology but had little knowledge on it A neighbor Girl Friend of My Daughter showed her Horoscope to me and wanted to know when she would get Married. After looking at the chart I saw that Jupiter was placed in the Lagna and PD of Jupiter ending on the 31st July 2002. I told her that she would get engaged before this time frame and the Boy will be a Handsome Sikh and from the North side and probably from Chandigarh. The Girl went and told her father who also happened to be an Astrologer gave an advertisement in the News paper. After few days the Girl came running to me with excitement that there was a preposition with Identical Parameters from Chandigarh. I told her that she would get married to this Boy . After a few days I was driving out of my House to go for shopping , just then i saw a Smart Sikh Gentleman out side my house . I could immediately forsee that he had come to check the whereabout of the Girl in Question.The Native had to catch a Train just a Km. from my house in another 15-20 minutes. He came for the same purpose as I had Predicted and I outright told him that the Boy and Girl in Question would get Married . The Native thought that I was talking out of my head since neither the Boy or the Girl has met. After a Few Days Parent’s of the Boy along with the Boy came to their House and exactly on the 31st July 2002 the Boy and Girl got engaged . In Dec. 2002 the Marriage was performed .The Sikh Gentlemen who had come to my house to met me there was amazed how I could Predict all this. The Reason is simple If the Sikh Gentlemen had come 5 minutes late he would not have met me , on this basis I predicted the Boy in Question will marry the Girl. Nature mad sure that the Sikh Genetlemen met me and I conveyed a Good Report of the Girl and the Family. 2.In the Year 2009 When I was studying Astrology in Bhartiya Vidhya Bhawan one day 2 Girls were chatting sitting next to me . One of the Girls said her Mother-In Law had Cancer Disease. I joined the conversation and asked the following Questions and Predicted the date of Diagnosos of Cancer disease. I asked her does she have Rahu in the 10th house ? Again she replied in affirmative. Then I asked her was she diagnosed of Cancer disease on the 8th May 2008 ? The answer was Yes. Both the Girls were astonished as to how I did the Analysis. We all were Students of Astrology. Does your Jupiter aspect your Lagna ? The answer was yes. Those Natives who have Jupiter aspecting the Lagna have a special attraction towards them. For this reason I looked at her twice. Then I asked her is your Jupiter in Sagitarius and around 5 -6 degrees in Ketu Nakshatra ? She replied yes and I was on dot. Next Thing I asked her was Is Your Venus in the Kendra , The asnwer was again Yes . Those Natives who have good Looks specially the Girls If Venus is placed in the Kendra they have good Looka normally , I used this Principle. Then I asked her If she had Leo Lagna ? The answer was in affirmative. How I could do this was Whena Girl is Good Looking and Sharp Features and specially the nose Jupiter Aspects the Lagna and Venus in Kendra to give good features. I am Born in May 1948 so I reduced the multiple of 12 the Paraya of jupiter from My Date of birth and asked her If she was born in the Mid year 1972 ? The Answer was again yes . Physically looking at her I could make out the difference between me and her would be 24 years. Adding this figure in my year of Birth I Reached 1972. The Girl was much amazed how I could even draw her Horoscope when we were just Learners of Astrology and I met her for the first time . 4.In the year 2013 I was In Hongkong I discovered that I lost my Diamond Ring and on the same day My wife told me she is experiencing a Lump in her Breast. Diamond is Venus and after applying the Declination I could imagine that my wife could have Problems since Diamond is Lost and connected to Venus and afflicting my Marriage. On our way to the Lab for Check-Up I found the sweeper the Claening the Path on which we were moving and the rest of the Road was dirty. I immedaitely told my wife she would be diagnosed with Cancer but it will get cured since the road we moved was being cleaned and 7th house is road and signifies the disease . I aklso told her we were waling fast the results will be fast and the cure will also be fast . Amazingly all happened as Predicted by me . 5. In the year 2014 I had to Travel abroad and had some tooth problem. On visiting the Dentist he told me since it is a wisdom tooth and may require lot Surgery and lot of time in healing if operated. Since I had to Travel Abroad I was in a Fix. This dentist was just a Km from My house . I told my wife I will go to this Dentist pnly if on our way back we dont face 2 Red Lights stops on the way to reach our House. Mars is Red and Karka for Surgery. Fortunately the 2 Red lights to reach our house were Green, but the moment I crossed the red lights , my wife told me to stop since she had to collect some Articles which are Ready from the Market on the way. The Moment I entered the Market there was traffic jam and I had to reverse my Car back to the Place from where I entered the Market, just then I saw my Prevoius Dentist Clinic. My Wife Joined me in just 5 minutes . In Astrology when a Planet id in Retrogression it is suggested to go to the Prevoius Doctor, Since I had to Retrograde my Path and the Querist is seen from the Ascendant , I decided to go to the Previous Doctor. The Reason was that I had to Break Travel onthe way to my House and indicated some issues If I had gone to the Dentist where I had Gone. On reaching home I opened the Prashna chart that the Doctor in question would be a female one and hence the Previous Dentist and a good looking one . I took appointment from her and accordingly I went to her . The total job was done in just 5 minutes without any surgery and exactly the tiem what my wife had taked to collect the Articles from the Market when I had to Reverse my Car. 6. My Daughter-in-Law Got a job in Nov. 2017 as Predicted by me . She was offered a job with a salary in some figures not divisible by 4 and asked me if the Employers would Increase it if she negotiated . I told her If the Negotiations take place after Sunday then it would be better one. On this she told me that the same has to be finalised before the Friday and we were talking on the Thursday. Just then My Wife told me to add some ice cubes in the Cold drink she asked for. I picked up some ice cubes at random and found 4 of them, I immediately told my Daughter-in -law thtat she should negotiste and the salary will be increased in such a way that it is divisible by 4 , Amazingly her Salary was increased to a Figure divisible by 4 and the Job in Question was also for 16 months divisible by 4. 7. I was in Dubai and climbing up the escalator and almost reached the 1st floor just then my Son asked me about some Trade which his company wanted to do and he asked me if the Prices of the item will further increase or not which was already touching a sky high price . I told him that since i had almost completed the Escalator there was very little Room left for any increase in that particular Item in which his company was Trading , Hence I told him to Sell of the item, for the reason After Shopping I had to go down the escalator after shopping andhence then after some time the Prices would come down, Accordingly my Son sold the stock of items whose price had escalated beyond expectations. Latter as predicted the Prices of the item fell. They were stable for some time and then fell. I was on the first floor for some time and then I came back on the ground Floor to go back home . My Son Latter told me that my Predictions were on dot. 8. In Sept. 2018 I Dreamt of My Dream Black Car, Amazingly My dreams come true. In My Dream I saw a Black colored Car with HR Registration parked in my drive way. I am a Car Enthusiast also. The Car I own was to complete its 15 years in Feb. 2020. So it was natural that I had to replace my Car. In the Process in few days I came across a Car of My Dreams and with the same HR Plate. I was much astonished and also knew I could buy this Car. I therefore negotiated . I used My Dasha which was in operation of Venus-Saturn and the Poorna ithasla between these planets in good Houses was taking place in Sept. 2018 only after my dream. I went on the Particular Day and Negotiated witht the Seller and got the same as per My Price. Venus is Vehicles and Saturn is Black and Aspects my 4th house by 3rd aspect from the 2nd house and 12th house from Saturn Venus is placed hence Expences on the Vehicle. 9. In the year 2013 I was in Singapore and Travelling just then I got a call from a Client on the 2nd Feb. 2013 for whom I had Predicted a Status rise in Jan 2011. He wanted to Know the outcome of an Interview he ad appeared on the 30th Jan 2011. While I was speaking to him the Car stopped at the Red light for 2 minutes and then we reached the Market for shopping . I knew at the tiem I received the call it was Taurus Lagna and Jupiter placed in it. I told the Querust that in the interview there msy have been a person of age of 45 years from the Human Resources who would have posed problems and the MNC is owned By a Lady. The Querist was much surprised and answered in affirmative .I used the Red light point Mars significations and Predicted the same and told him that he would be interviewed minimum 8 times before he is finally selected . The Predictions proved on Dot and ebven the date when I told him that Mars will be totally Combusted in Aries sign in the 12th house of the Chart which I drew at the time of the call. The Date was 24th April 2013 Amazingly the Date was also on dot.